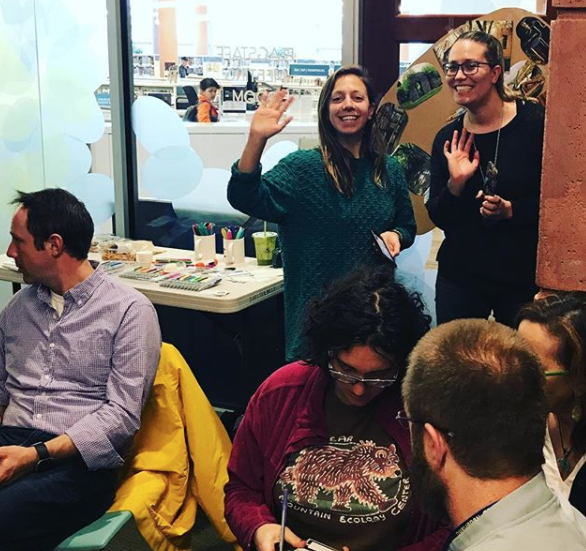 ShelterBelt Design partakes in many community engagements as a volunteer effort to improve education and non-profit organizations with design in mind. Principal & Owner, Nicole Delmage, joined a panel of volunteer judges at Northglenn High School to provide feedback for students presenting their Interior Design Boards for a high school level design class. Nicole, Nick, Rebecca and a previous Intern, Amanda, presented three Community Charettes for Wild Bear's new nature center funding in Nederland, CO. The Charettes consisted of a "Thumbs-up / Thumbs-down" slideshow, to get a feel for the community's design preferences, and a 101 lesson on how to determine a budget for a large new construction project.